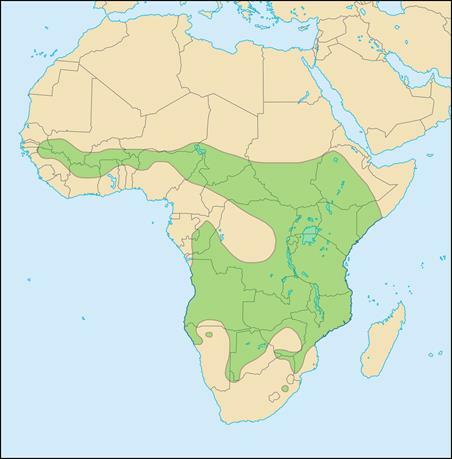 African Lions are naturally found south of the Sahara in Western, Eastern and Southern Africa. Their preferred habitats are the savannah and open woodlands. 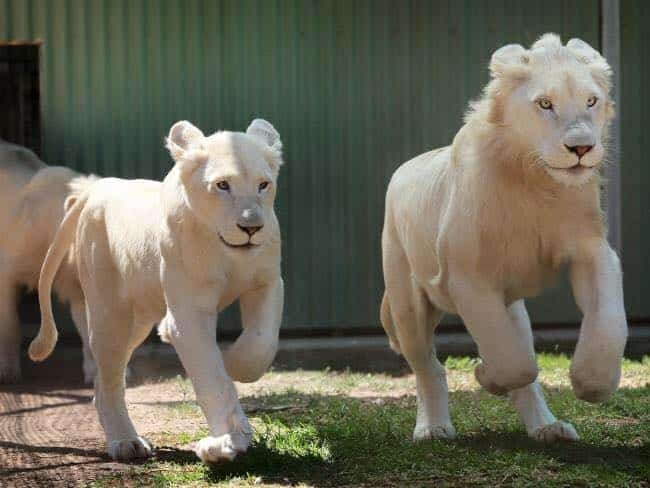 Lions are the biggest of all the cat species in Africa. The cubs have dark spots on their yellow-brown bodies, which disappear as they mature. Adults usually range in colour from white to tawny to grey. Male lions develop long dark manes around 3 years old, which grow longer and darker with age protecting the neck and face in fights. The Lion’s face is lighter in colour and the whiskers and hair around the mouth are white. The tail tuft, patches on the back of the ears, and lips are black. Weight: Males up to 260kg, Females up to 180kg; Length: Males up to 250cm, Females up to 190cm: Height: Males up to 123cm, Females up to 107cm; Tail Length: 60-100cm. 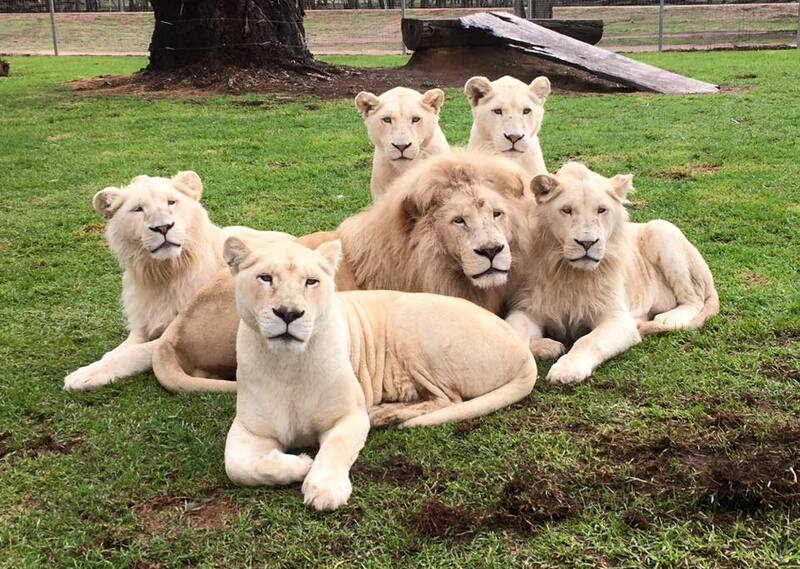 Group Structure: A pride consisting of up to 30 cats consisting of adult females with one being the Matriarch, their young and 1–2 related males. Diet: Mainly medium sized ungulates such as impala but will hunt/scavenge for rats, reptiles, fish and larger mammals such as rhino, giraffe, zebra. etc. Reproduction: Gestation period-110 days usually resulting in a litter of 2–6 cubs. Lifespan: Wild: Females up to 18 years, Males up to 13 years; Captivity: both up to 25 years. Least active cat spending 20-21 hours per day resting. Basically they only hunt, feed and mate at dawn, dusk and at night. Only cat (male only) to have a Mane, only cat (male & female) to have tuft at end of tail & only cat (male & female) besides the Tiger that can roar. They can run up to a top speed of 60 kms per hour but with very little stamina. 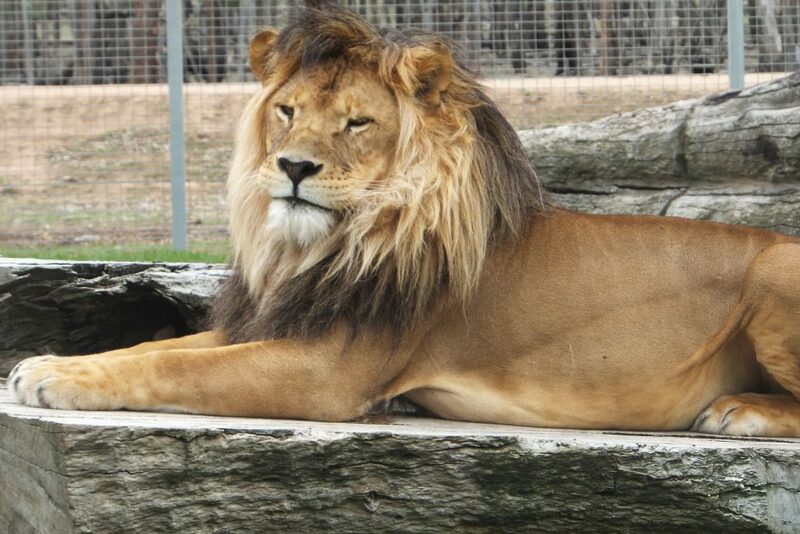 A Lions pad can measure up to 15.5cm long and the Lion can retract its nails. The females usually take charge of the Hunt whilst the males use their energy more to protect their territory and the Lionesses within the Pride. Main predators are Hyenas and Man.